In Guatemala hip hop is not just a dance or lifestyle; hip hop is a way out; a way out of gangs and violence, a way out of red zones and dangerous neighborhoods. A quick Google search about hip hop in Guatemala took me to the website GuatemalaHipHop.com from where I grabbed the song above. Also, in the results I found this interesting article about Trasciende, an organization who teaches youth about hip hop and promotes peace, love, unity and enjoyment. Below you can find a fragment of the article and an overview video clip about Trasciende and hip hop in Guatemala. … In the context of this reality one would not expect the youth to organize nonviolent actions, workshops or, as we shall see, an academy that teaches the principles of nonviolence. Yet, if we were to take a stroll down Calle 12 and 6ta Avenida, of Zone 1 in Guatemala City, we would find a group of mostly young men who celebrate the spirit of nonviolence every day. Trasciende, an organization founded in 2009 by a group of five B-boys (break dancers), is a hip-hop academy that offers art workshops as a means to draw the youth away from violence and into a peaceful environment. Mr. Fer, the head of the academy, meets regularly with those who attend the workshops to discuss the four values Trasciende promotes—Peace, Love, Unity and Enjoyment… continue reading the entire article at Waging Nonviolence. photo by Leonel [Nelo] Mijangos. What a difficult life we have Guatemala Daily Photo editors! sometimes we met to discuss what we can do better to bring you better daily photos and grab a healthy homemade lunch, of course. Walking around Antigua Guatemala in high heels is a great demonstration of balance and concentration. Starting on May 1, GuatemalaDailyPhoto will widen its scope to include quotidian vistas from different cities from Guatemala and from different contributors. We want GuatemalaDailyPhoto to be a polyphonic community like a diamond, hard, solid and beautiful with many different facets of the Guatemalan life. Also, GuatemalaDailyPhoto will bend the rules a little by allowing more than one daily post as long as it is not from the same contributors. In other words, in one day you may see daily posts from Flores, Peten, from Guatemala City, Guatemala, from La Antigua Guatemala, Sacatepéquez, from Monterrico, Santa Rosa, et cetera. Guatemala is divided into 22 departments (departamentos) and sub-divided into about 332 municipalities (municipios). Guatemala is heavily centralized. Transportation, communications, business, politics, and the most relevant urban activity takes place in Guatemala City. Guatemala City has about 2 million inhabitants within the city limits and more than 5 million within in the urban area. This is a significant percentage of the population (14 million, source: Wikipedia). We will try to bring you everyday life images from all 22 departments. Stay tune and watch the Categories list on the sidebar. 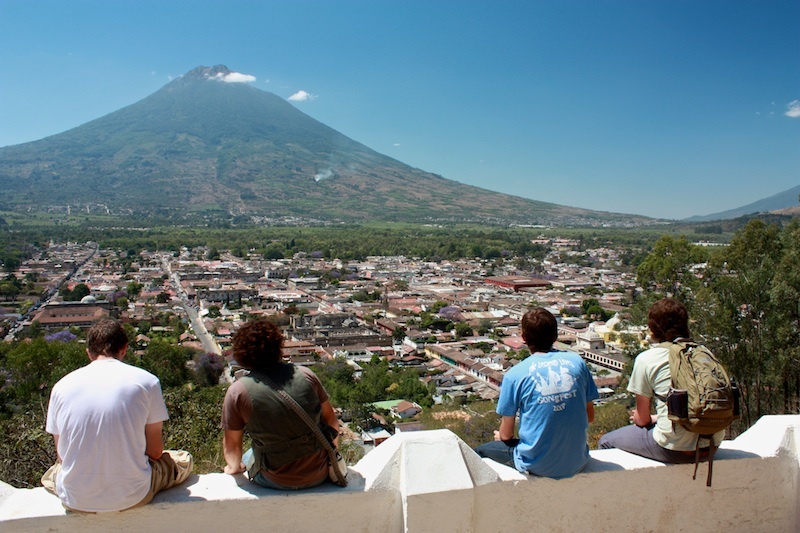 The picture above was taken from Cerro de La Cruz (the hill of the cross), a hill overviewing the most beautiful city in Central America: La Antigua Guatemala, of course. The truth is this hill is NOT in reality Cerro de La Cruz; it is Cerro de Santiago (Saint James hill). In colonial times, in Spanish American cities and their surroundings followed a strict pattern, God and the its church were always on the east side. That’s why the churches and cathedrals on the main plazas were always located on the east side. The real Cerro de La Cruz is therefore located on the east side, it could either be the hill behind Ermita de La Santa Cruz or Santo Domingo del Cerro hill; both located on the east side of town. Of course, truth and reality are two different things; we only need to take a long look at history for confirmation. Without further ado, welcome and welcome back to the new and improved GuatemalaDailyPhoto! About Guest Contributor: Central American, music lover, content creator, photographer, art director, graphic & web designer, epicure in progress, living in Antigua Guatemala, C.A. 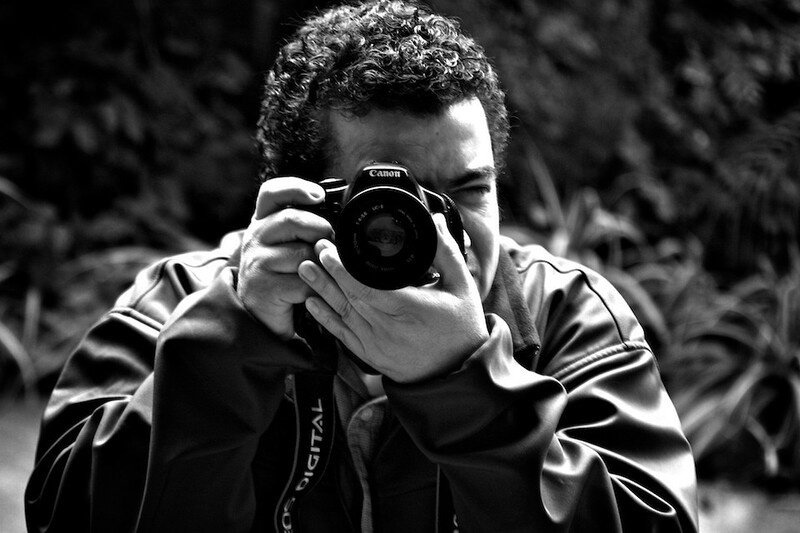 and editor for AntiguaDailyPhoto.com, GuatemalaDailyPhoto.com & XelaDailyPhoto.com sites.